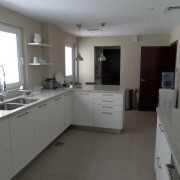 … So the kitchen is now finished and and it looks and performs brilliantly. We just wanted to let you know that your team did and exceptional job. Each and every one of them were very professional and did their work to the highest standards from which you obviously bestow onto them. They are a credit to you and I’d like to say a special thank you to Nikos who headed the job. His attention to detail is second to none and a perfectionist. Which being one myself I found to be very satisfying. Anything I pointed out that was not 100% right in the beginning, was rectified quickly and correctly, without taking any shortcuts. There were also a few things that I didn’t even see which your team pointed out and fixed. So a special thanks to all of them. 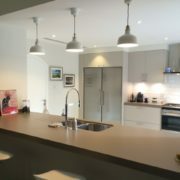 We are extremely delighted with the kitchen and has been greatly admired by everyone who sees it. 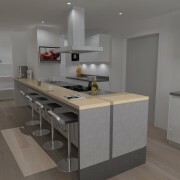 The functionality of the kitchen works very well and I’d like to thank your team and especially yourself for spending so much time at the designing stage in order to get it right. “At the beginning of the year my wife and I decided to do some renovations to our three bedroom apartment in the Green Community. 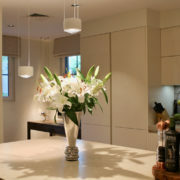 The scope of the renovation was to include the entire kitchen and some of the bathrooms. Having previously been down this road in South Africa, I dreaded the thought of starting this project. It’s always difficult dealing with builders, as most times the job never gets completed on time or to the standard you would expect. 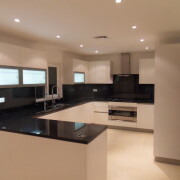 To start off we looked at a few the potential kitchen companies in Dubai to get an idea of the process involved and costs. 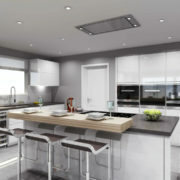 After getting a few references we finally decided to use Goettling Interiors to do the kitchen. 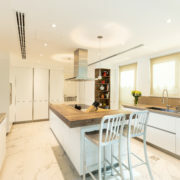 Their showroom in Business Bay displays a comprehensive range of products which together with a 3D planning tool allows Oliver and his team to provide you with an amazing presentation of what your kitchen will look like once completed. We were so impressed with the level of professionalism and service that we ended up asking Goettling Interiors to project manage the rest of our renovations. 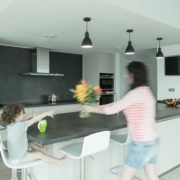 All we asked was for a quality finished build and the job be completed on time – Goettling Interiors delivered on both counts, exceeding our expectations. 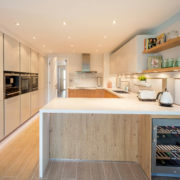 The entire team were adaptable and open to change throughout the project and were an absolute joy to work with. 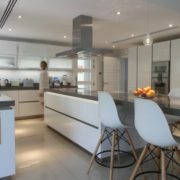 Finally the products they use, from the kitchen cabinetry to lighting – absolute quality and simply put German engineering at its best. If you looking to renew your kitchen, I would highly recommend this company. 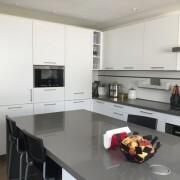 Just been over to the house and WOW what a fantastic job you guys have done both in our SCHUELLER kitchen and with what you were given in the utility room, your team has even made Ikea cabinets look fantastic. Thank you so much, we are very impressed with the workmanship. “Everything was completed perfectly. We are happy that we have achieved this quality project with the lovely team.